Most of the dirt and gravel that had been removed from around the 147th New York right flank that was removed on Friday, was replaced today, Wednesday, October 15th. This view was taken from the west facing east at approximately 4:15 PM on Wednesday, October 15, 2008. Yes we are confused. 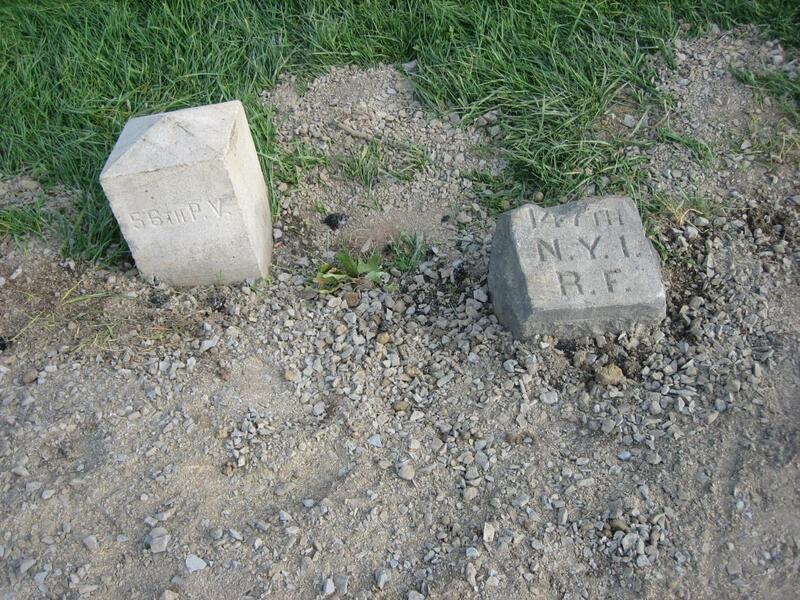 On Friday, October 10th, the National Park Service and/or its contractor, removed the dirt from around the flank markers to the 56th Pennsylvania and the 147th New York. They marked the pavement so that they could cut back one and a half feet of the asphalt from the markers. 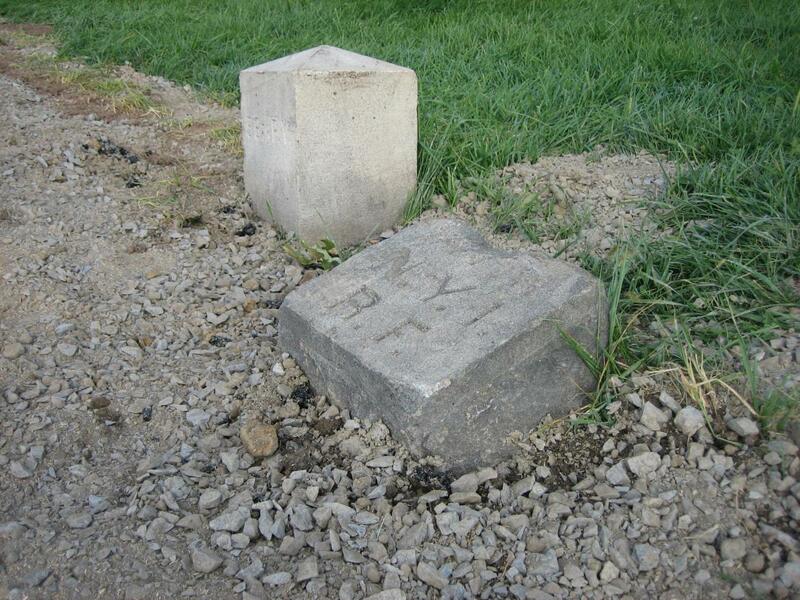 Today, they cut back the asphalt, but they put the dirt back around the marker to the 147th New York. Why? Now cars parking on the shoulder, have a pretty fair chance of running over the marker again. We called National Park Service spokesperson Katie Lawhon this afternoon, to ask what was going on. She didn’t know, and said she would find out. She also said they weren’t finished working here because the grass seed hadn’t been put down, and maybe there’s more to do. But that’s not the problem is it? Maybe someone missed the point of what more than a few citizens felt was wrong here. Isn’t a major problem with this project the fact that they (the contractors) were burying a marker that had previously been a free standing object? 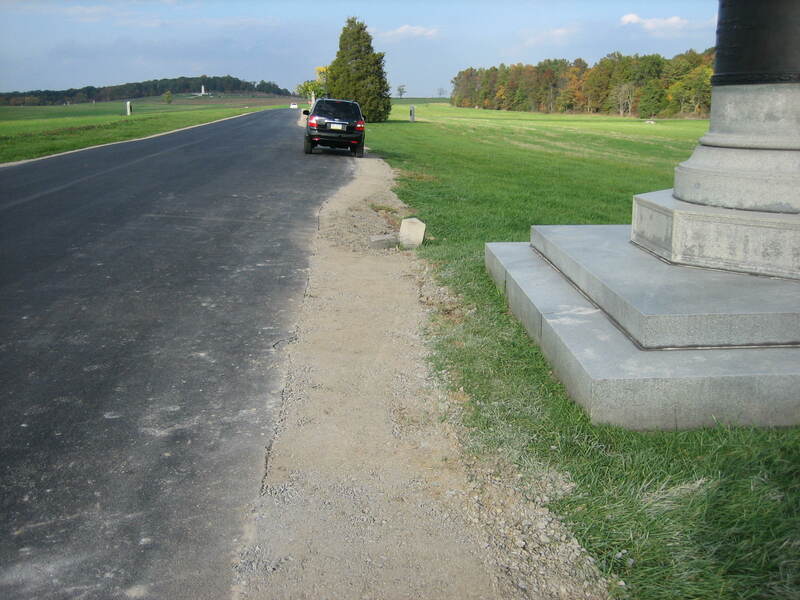 This afternoon, the Hanover Evening Sun ran an article about the flank marker controversy, and Katie stated that “sometimes contractors don’t do what you expect them to do.” That’s true, but when the contractors are fixing the problem, is someone there from the National Park Service to make sure the job is fixed correctly? Or does the National Park Service think it’s okay to almost completely bury this marker? 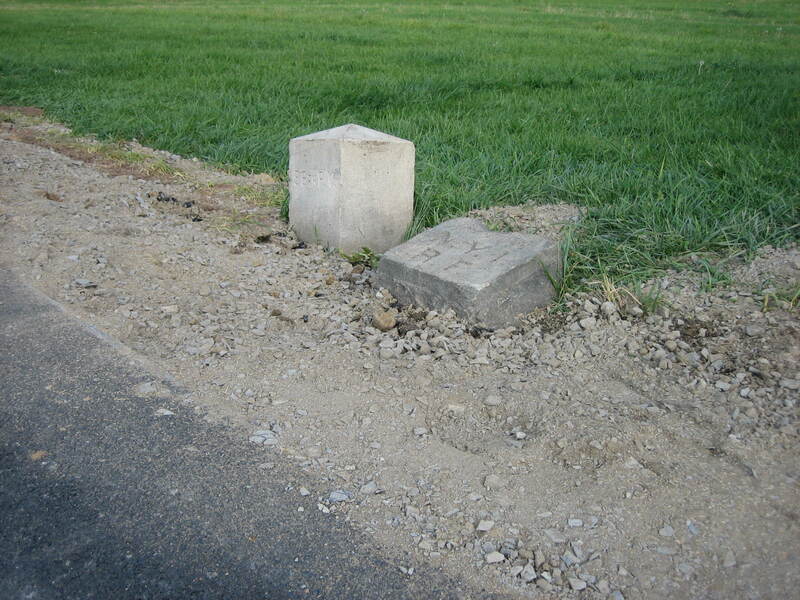 The asphalt was pulled back from its original position approximately a foot and a half, and the marker to the 56th Pennsylvania is mostly uncovered. This view was taken from the southwest facing northeast at approximately 4:15 PM on Wednesday, October 15, 2008. 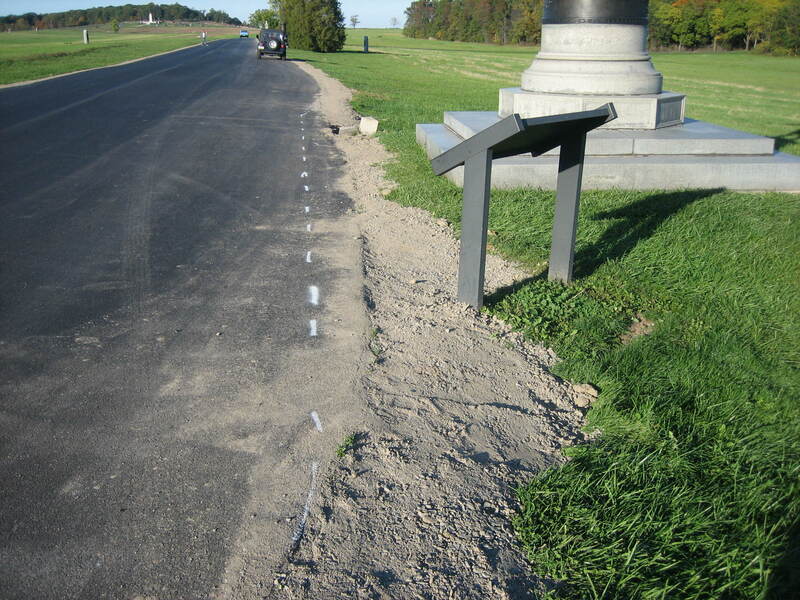 But after the asphalt was moved away from the markers, the dirt was filled in again, and what problem was solved here? Cars will still have their wheels on this new shoulder (dirt) on the right (east) side of the road. They still have a really good chance of driving over the marker again. This view was taken from the south facing north at approximately 5:00 PM on Wednesday, October 8, 2008. There’s not as much covering the 147th New York marker as there was during the first burial detail, but it’s a lot more than there has been since when it was first put in place 120 years ago, July 1, 1888. And is there still asphalt sticking to this marker below the dirt? This view was taken from the southwest facing northeast at approximately 4:15 PM on Wednesday, October 15, 2008.